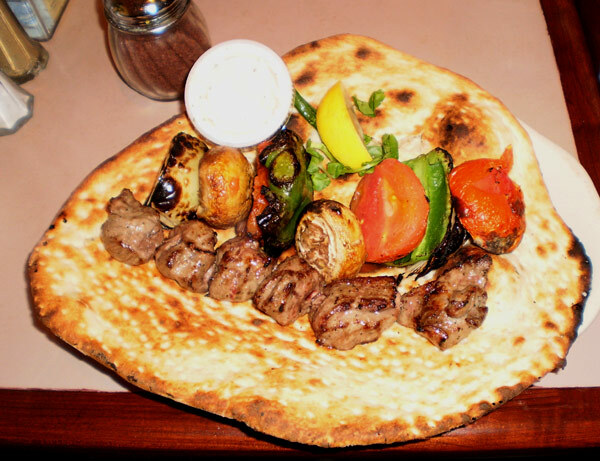 You are viewing the archive for the ‘kabob bazaar’ tag. 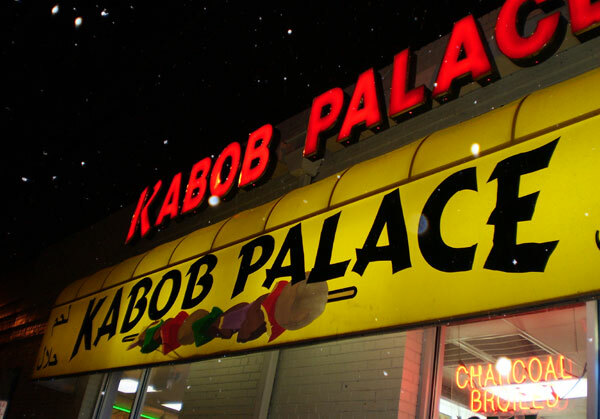 I have been to Kabob Bazaar near Clarendon metro numerous times. 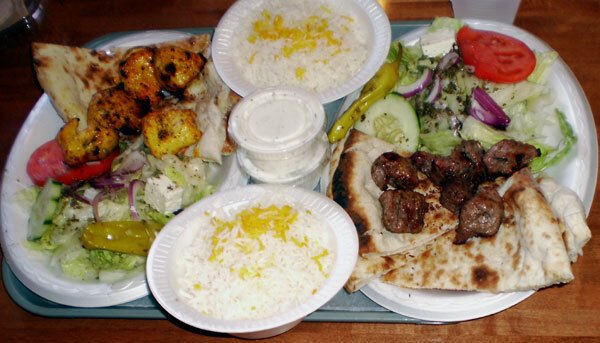 Usually, it’s for a quick kabob lunch. This time, I was meeting a friend after a long time and we took our time to chat over 3 course meal in Kabob Bazaar. 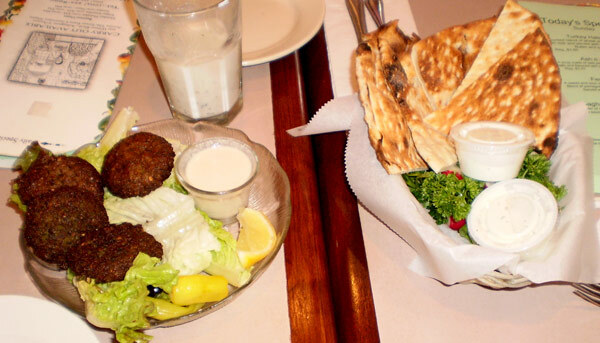 Our meal started with falafel platter. The falafels were slightly burnt outside but tasted crispy and had decent flavor. Falafel looked a bit rustic and seemed homemade (when I inquired, they are not homemade). Along with our appetizer, we got a salty yogurt drink with mint, dogdh. We opted for homemade dogdh, which is less carbonated and spicier than a bottled version. It was indeed refreshing in the hot summer afternoon if you can stomach a cold salty and spicy yogurt drink. For my main course meal, I chose lamb kabob. 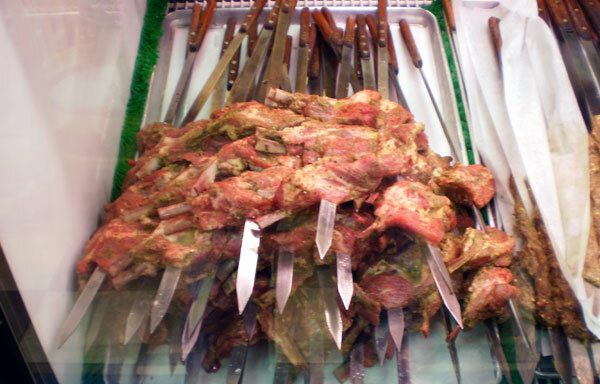 I was pleasantly surprised when the waitress asked me for doneness of my kabob. Usually, you are not asked if you want medium rare or medium well, they just give you medium. I was kind of bummed out that I had to pick either rice or flatbread to accompany my lamb kabob. As much as I love rice, I can always make it at home. 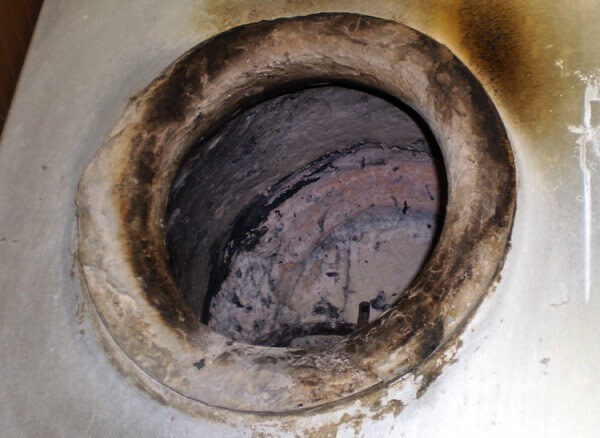 However, I don’t have a 800 F hot oven (tandoor) to make the flatbread. My choice of bread seemed ideal as it was freshly baked and big. My medium rare lamb kabob came on top of the bread with grilled vegetables such as mushroom and peppers. 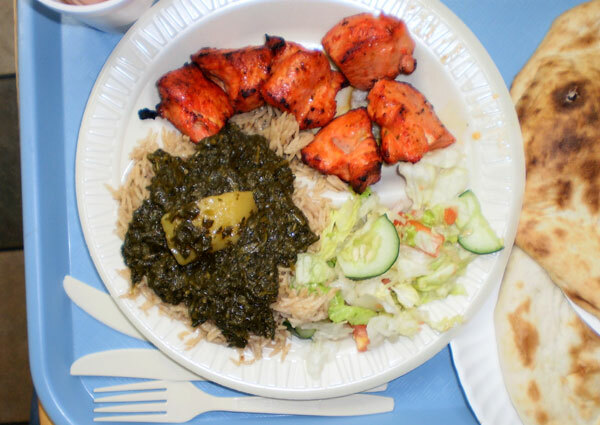 The kabob also came with generic and mediocre version of mast-o-khiar, Persian mint and cucumber yogurt sauce. The side of sumac was already on the table along with regular salt and black pepper shakers. 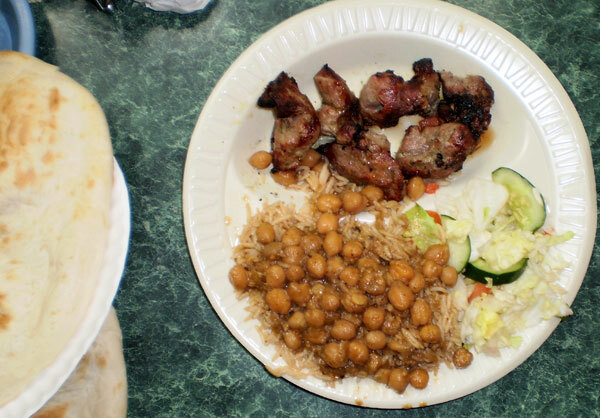 The lamb kabob meal was filling and we were stilling chatting over warm cup of freshly brewed Turkish tea. After a while, how could we refuse a good dessert? I chose saffron ice cream with pistachios and rose water while my friend chose pastries. 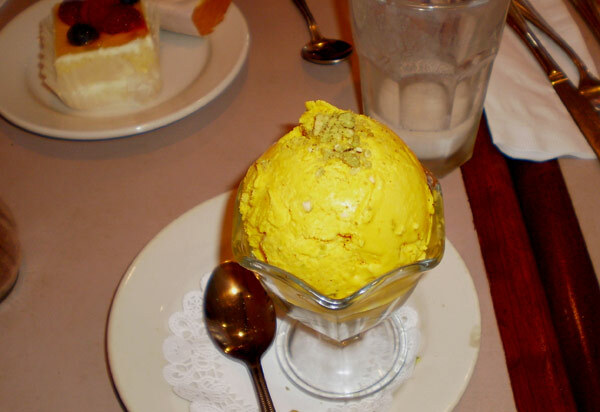 The ice cream was full of the unique saffron flavor as suggested by its deep saffrony yellow color (unless artificial yellow color was added). If you have never tried saffron ice cream, I encourage you to go find a saffron ice cream in your local Indian grocery store. 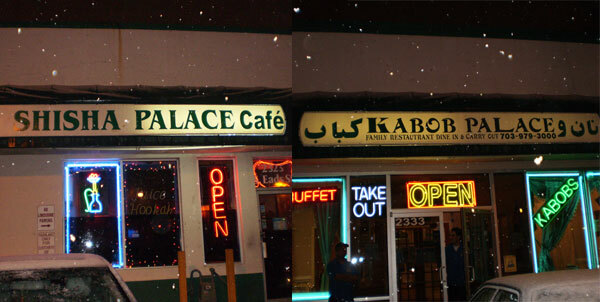 Our 3 course meal at Kabob Bazaar was memorable. 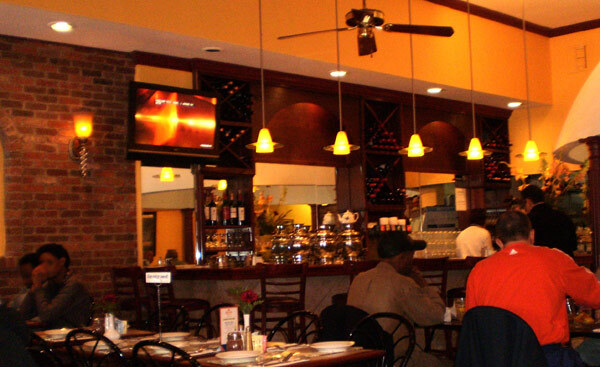 The food was good but taking our time to finish our meal over long conversation was priceless.